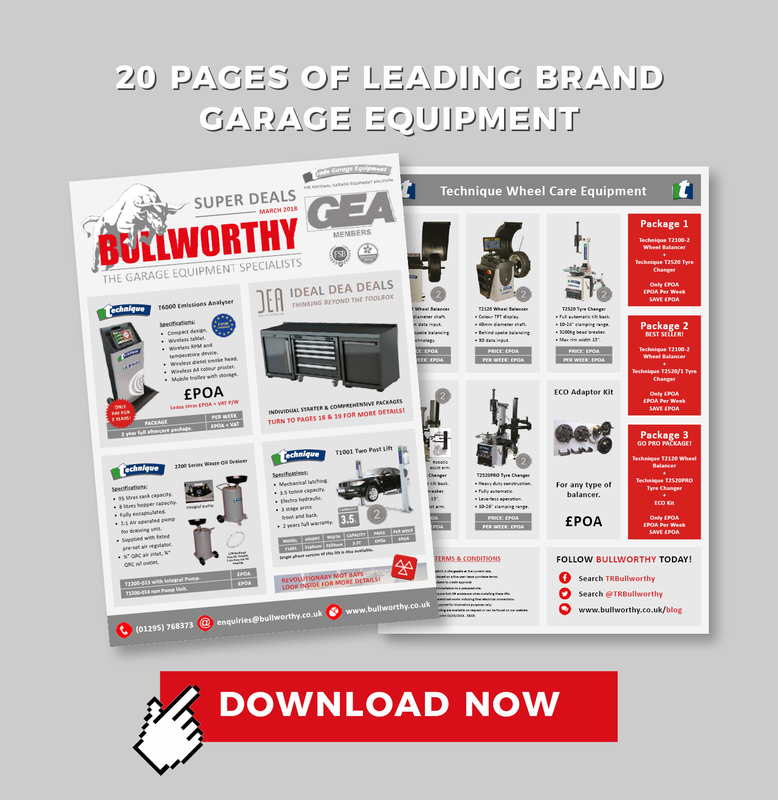 The garage equipment trade is one that is constantly evolving with products and services being introduced to the market each year. As a consumer, the prospect of sifting through the endless amounts of possible equipment solutions can be quite daunting. Luckily here at Bullworthy’s, we have you covered! Each month we will be presenting you with the best selection of garage equipment the trade has to offer and at the most competitive prices. 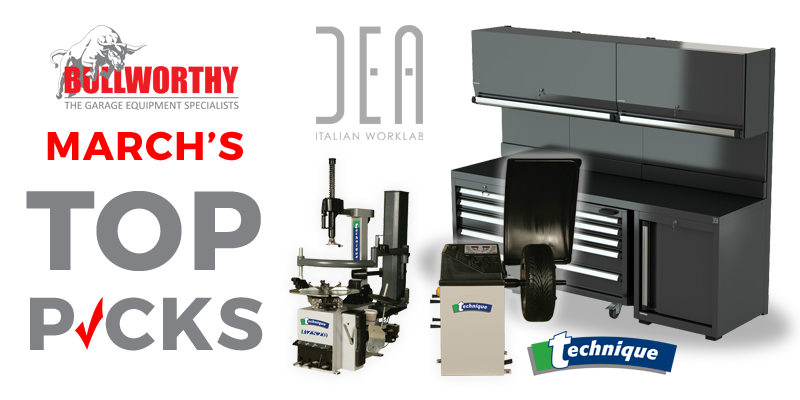 This month’s selection of top pick deals focuses on the Technique range of tyre equipment from Trade Garage Equipment Ltd and the quality range of workshop furniture solutions from renowned designers and suppliers DEA Worklab. Download your copy of the second edition below and to receive further editions direct to your mailbox, why not sign up to our mailing list below. Download March’s best deals here! Subscribe to our monthly top deals newsletter!